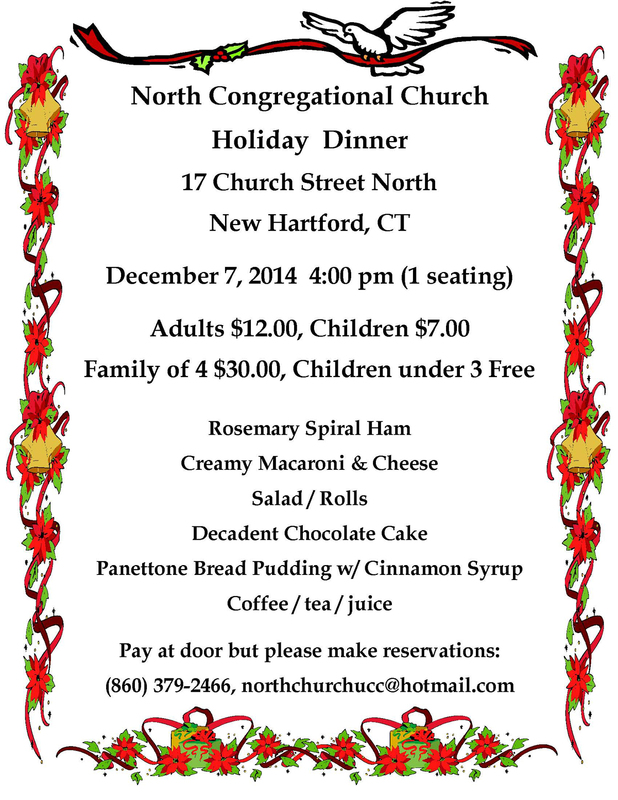 Holiday Dinner Pre-Light New Hartford on 12/7/14! Dinner will be at 4:00 pm. on Sunday just before Light New Hartford. If you have any questions, call Alesia Kennerson at 860-496-8926 or 860-307-6081.